An examination of texts published by Father Frans van der Lugt in 2011 and 2012 shows that the late Dutch Jesuit priest had a dim view of the Syrian rebellion, which he held to be the work of a violent minority, and favored a process of political reform in Syria to be implemented by the current government under President Bashar Al-Assad. Father Frans was murdered under still unclarified circumstances in the embattled Syrian city of Homs earlier this month. 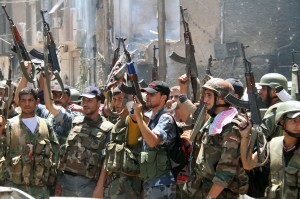 Opposition sources have blamed the Syrian government for his death. But it is widely believed that Father Frans was killed by hard-line Islamist members of one of the rebel factions that have taken control of his Bustan al-Diwan neighborhood in Homs. The texts of Father Frans, who had lived in Syria since 1966, provide an eyewitness account of the origins of the anti-Assad rebellion and the gradual hardening of the front between opposing rebel and government forces in Homs. Perhaps most notably, whereas the rebellion is typically held to have been sparked by the violent repression of peaceful protests, according to Father Frans, the “protest movement” contained an armed and violent element “from the start” and the violent opposition quickly gained the ascendancy over the peaceful opposition. Already in September 2011, Father Frans had made similar observations in a guest post on a Belgian blog, going so far as to accuse armed opposition groups of blaming the regime for their own acts of violence. Moreover, from the start there has been the problem of the armed groups, which are also part of the opposition….The opposition of the street is much stronger than any other opposition. And this opposition is armed and frequently employs brutality and violence, only in order then to blame the government. Many representatives of the government [regeringsmensen – Father Frans might also be referring to supporters of the government] have been tortured and shot dead by them. Faced with a choice between an opposition as so described and the current Syrian government, Father Frans clearly favored a process of political reform undertaken by the latter and not the “regime change” that has been favored by the West. In particular, he regarded the current regime as the best guarantee against the spread of sectarian violence in Syria. Whereas Western press reports have emphasized his efforts to promote understanding among Christians and Muslims, Father Frans identified the main sectarian fault-line in Syria as that running between two Muslim communities: Sunnis, who make up the majority of the population, and the Alawite minority, which is not only associated with the current regime but whose members are regarded as apostates by radical Sunni currents. 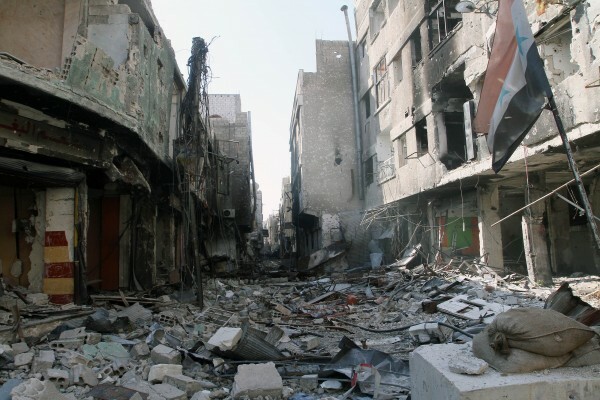 In January 2012, Father Frans warned that the Syrian army was the only thing standing in the way of a full-fledged civil war between Sunnis and Alawites in Homs. In his critical observations on the Syrian crisis, Father Frans did not spare the Western media, which he accused of distortion and bias. In September 2011 he wrote that he was disturbed by Western coverage of the Syrian crisis because there was “never a good word” published about the current government. Our experience with the government has not been so negative. In my case, they always helped my projects and supported my idea of being of service to Sunnis and Alawites. They wanted an ever greater separation of church and state and were enthusiastic about projects that were non-denominational. According to the Dutch daily de Volkskrant, the help provided by the Syrian government to Father Frans included a grant of over 100 acres of land for the Father’s agricultural projects. Ironically, by March 2012, Father Frans found himself living under siege by the forces of the very Syrian government he supported. 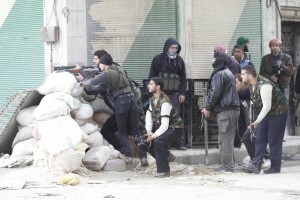 In the meanwhile, rebel forces, which had briefly taken control of Bustan al-Diwan in September 2011, were back again and this time they were there for the long-term. In late March, Father Frans’s own car was destroyed by a missile or mortar fired into Bustan al-Diwan by the Syrian army. “The army was aiming for a restaurant not far from us where the FSA has its headquarters,” he explained to the Swiss Catholic new agency APIC. Father Frans told APIC that ninety percent of the Christian population of Homs had already fled the city, because of the fighting. …[T]he only result is that many Christian homes and also churches…have been bombed and partially or wholly destroyed, while the soldiers of the Free [Syrian] Army remain unharmed. The latter hide in the cellars of the Christian homes to protect themselves from the bombing. But not even the experience of siege and bombardment by government forces could shake Father Frans’s conviction that distorted, one-sided coverage of the Syrian crisis in the media was itself a major obstacle to peace. In the first place, it has to be said that it is very difficult to provide a nuanced and objective account of what is happening. Many journalists fall into describing matters in black and white. For them, good and evil are not interwoven, but are clearly separated. They demonize the one side and glorify the other. Thus, for example, it is not true that our [the Syrian] government has only bad sides and the opposition only good ones. But because the US, Europe and certain Arab countries support the opposition, they endeavor, whether consciously or unconsciously, to idealize it as much as possible, without engaging in any careful analysis of the real situation. Certain interests are obscuring our view of the real situation and contaminating the description of it. The author of this article John Rosenthal is a European-based journalist and political analyst who writes on European politics and transatlantic issues. His articles have appeared in such publications as Al-Monitor, World Affairs, The Wall Street Journal Europe, Les Temps Modernes, and Die Weltwoche. He is the author of the recent book The Jihadist Plot: The Untold Story of Al-Qaeda and the Libyan Rebellion. You can follow his work at www.trans-int.com or on Facebook. This is a good article on Fr Father Frans van der Lugt and I look forward to reading more of your analysis and comment on the situation in the Middle East. I have to say that for the firt time in my life I find myself seriously out of step with my own government’s stance and that of other Western governments. Independent journalistic reporting is now critically important and thank goodness that the internet is able to come into it’s own. I can read an alternative news source. Do you send your articles to Fox, CNN etc. ? I think that you should, even if they dont get published it will keep their editorial teams informed.